Hi everyone! Today I'm going to be telling you a little about how I have celebrated Day of the Dead in my classroom in the past. Don't be afraid of el Dia de los Muertos (the Day of the Dead)- this is a happy holiday! In years past, during our report writing genre I chose to study the country of Mexico. My class learned so much about the country to become experts for their reports. One aspect we studied and really enjoyed were the holidays, particularly Day of the Dead. This unique holiday (celebrated November 1 &2) is a celebration to honor and remember people's friends and loved ones who have died. There are many wonderful traditions and symbols of the holiday that I think your students would really dig! One of those traditions is creating an altar to honor the loved ones of your students who have passed. Offerings (ofrendas) are laid out on the altars for the dead. Create a simple altar in your classroom. You can use a table top or desk exclusively for the altar. Use crates (like the ones you find at Walmart for files folders) if you want to make your altar 2 tiers. Drape the table and crates with a tablecloth. Have your students bring in photos of deceased loved ones to place on the altar. 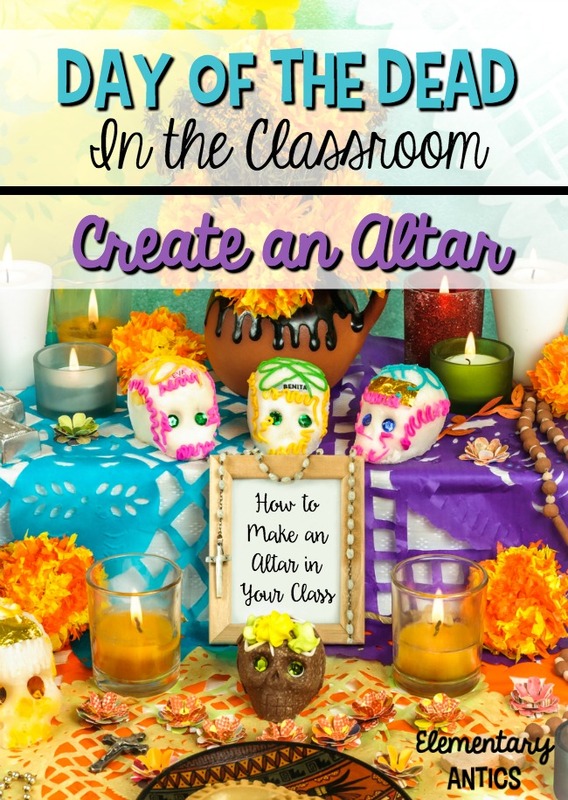 The year we made an altar in my classroom the students really enjoyed it. I built my in front of a bulletin board so we could also attach photos and decorations to the board around the alter. 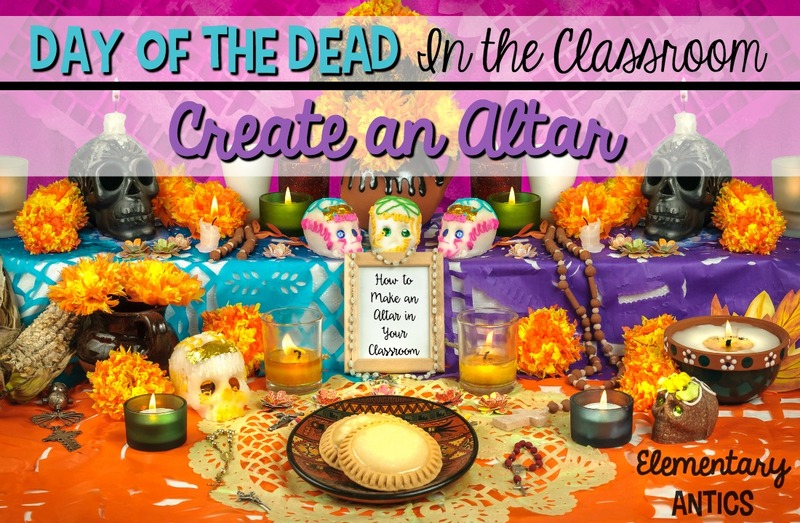 I'm just a *little* bit interested in Day of the Dead, so I have a few other resources in my store if you are looking for some more ideas to intrigue your students. I have always been interested in Day of the Dead... in fact I just made fun skull cookies this weekend. Thank you for this post. I never considered teaching this in the classroom.